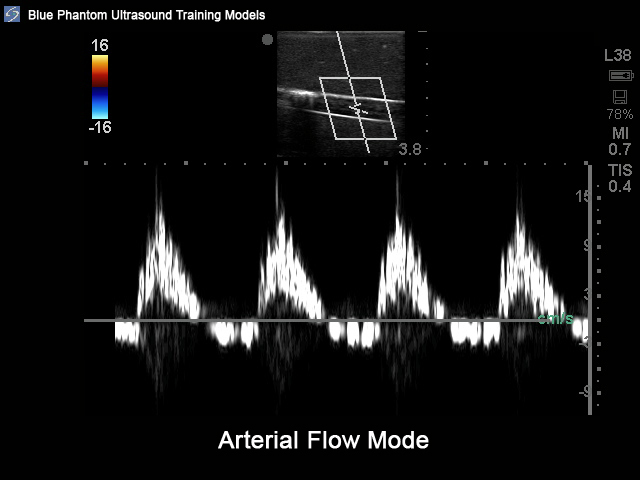 Our Peripheral Doppler Ultrasound Training model offers superb 2-D and Doppler flow characteristics allowing users to learn and teach how to use ultrasound for the assessment of peripheral arterial and venous blood flow. 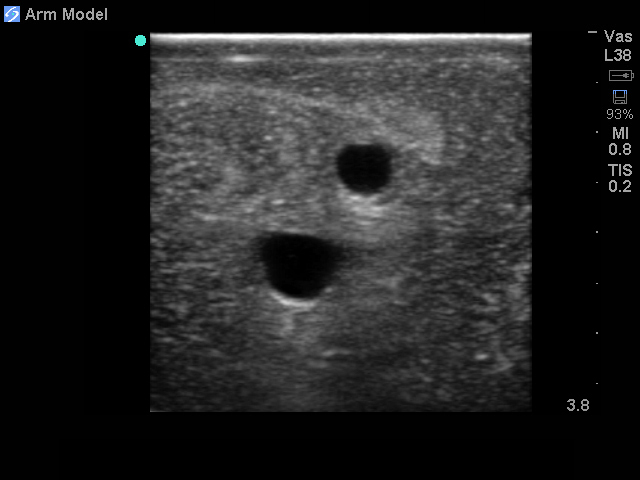 Using ultrasound sonography with any commercial ultrasound system, the phantom can be used to assess the brachial and basilic vessels of the upper arm as well as the radial and ulnar arteries and the cephalic and median cubital veins of the lower arm. 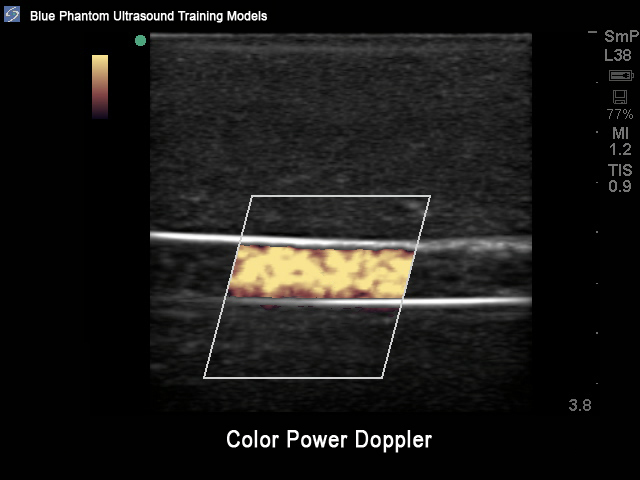 Choosing between pulsatile or continuous flow, users can utilize a variety of Doppler techniques to assess the vascular structures in the model including; color Doppler (color flow Doppler), pulsed Doppler, color power Doppler, and continuous wave Doppler. 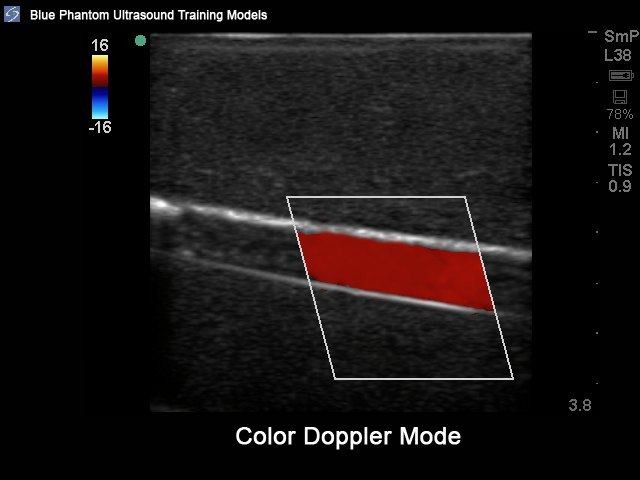 This easy to use Doppler ultrasound training model can be manually switched to provide pulsed flow or continuous flow in the blood vessels. 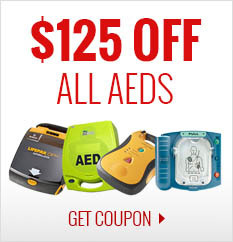 Users can acquire blood flow profiles using any ultrasound system configured with Doppler ultrasound thus providing users a consistent and repeatable training environment. Use Doppler to assess the brachial and basilic vessels of the upper arm as well as the radial and ulnar arteries and the cephalic and median cubital veins of the lower arm. 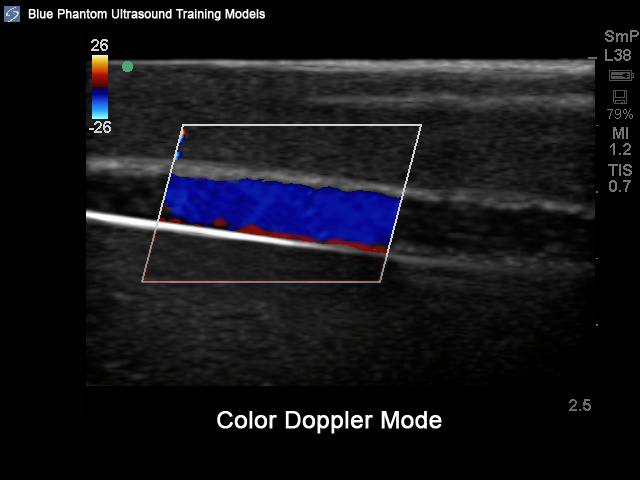 Our Peripheral Doppler Ultrasound Training model is also excellent for training users in ultrasound guided vascular access procedures. 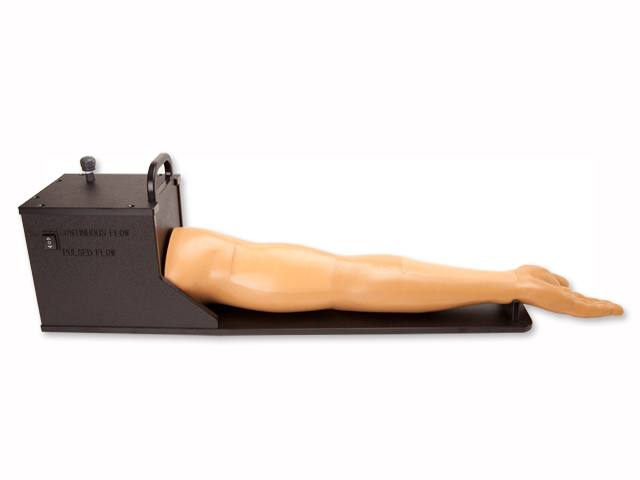 All of the blood vessels contained in the model can be repeatedly cannulated and offers extremely realistic and durable performance. 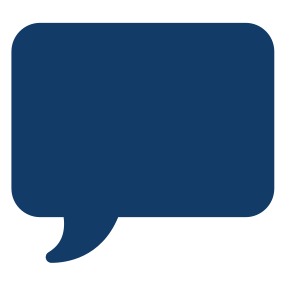 Users can expect extended utility with our self-healing tissue providing over 1000 cannulations without replacement or compromising its excellent imaging quality. In the lower arm, users are able to cannulate the radial and ulnar arteries as well as the cephalic and median cubital veins. 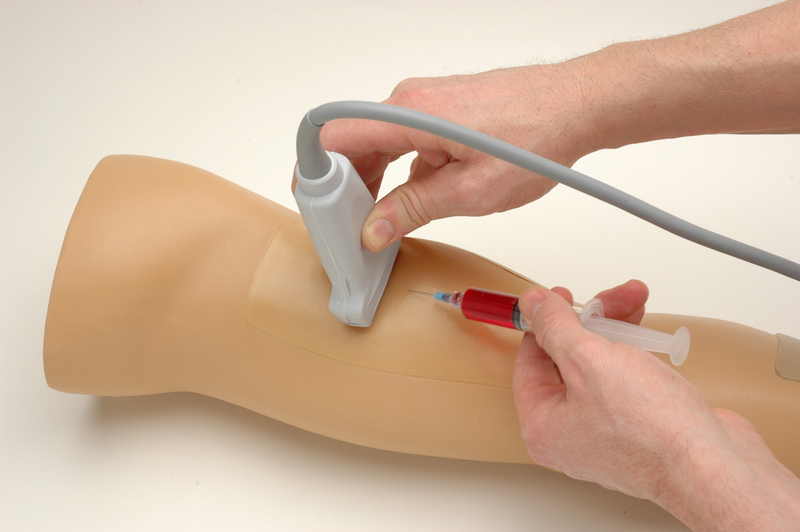 The upper arm users can utilize ultrasound guidance to cannulate the brachial and basilic vessels. Positive fluid flow (flash) is present when the vessels are accurately accessed.